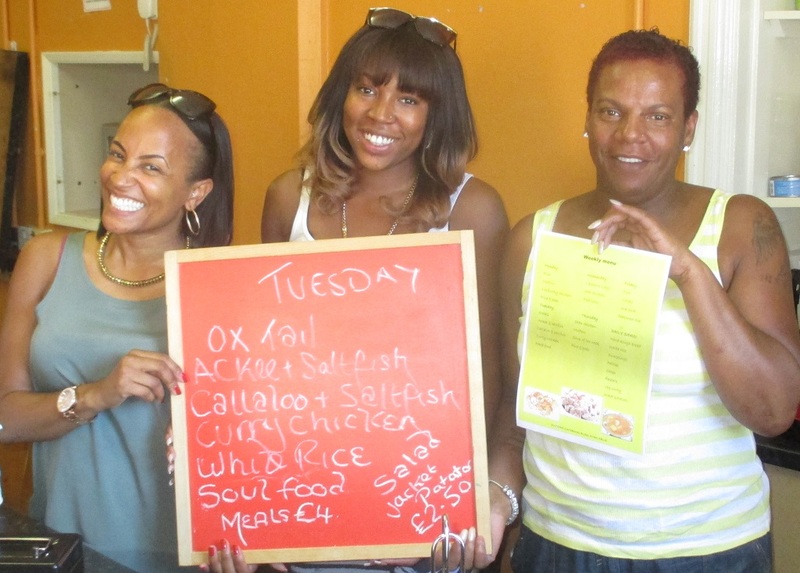 New caterers at the café within Queens Walk Community Centre. Started Monday, and with a different Afro-Caribbean menu every day. Sold out today, at teatime, by the time I turned up for the NET consultation meeting. 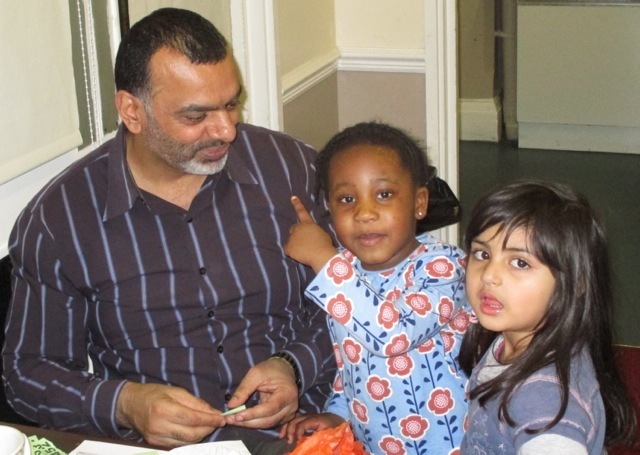 Jackie is pictured supported by her niece and daughter. 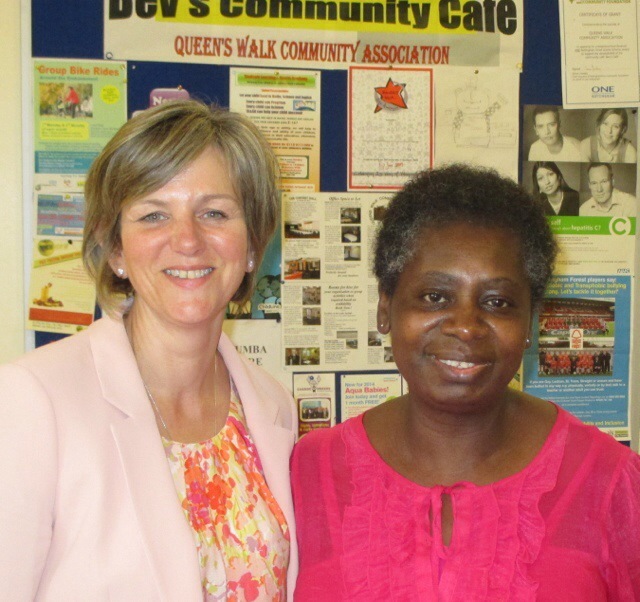 Bev serves West Indian food at her community café at the Queens Walk Community Centre. The construction workers get construction workers’ sized portions at dinner time. Lilian chose the lamb, with its rich tasty sauce. 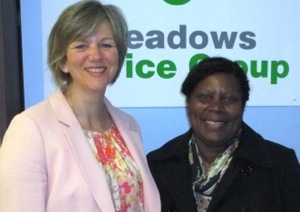 Lilian Greenwood MP called on the Meadows Advice Group to see the new offices at the Queens Walk Community Centre, and to hear how MAG helped people in The Meadows claim over an extra £1 million in annualised social security. Helping those most who need most help. The shadows railways spokesperson also liked the painting of the Great Central train leaving the Nottingham Victoria station. A terrific and intense community consultation, as around 50 residents came together to discuss work, health, neighbourhoods, crime and children services. Officers went from table to table to hear views on what needed to be done to improve the quality of life. Notes have been taken to update the community plan, probably at the February Area 8 Cttee. 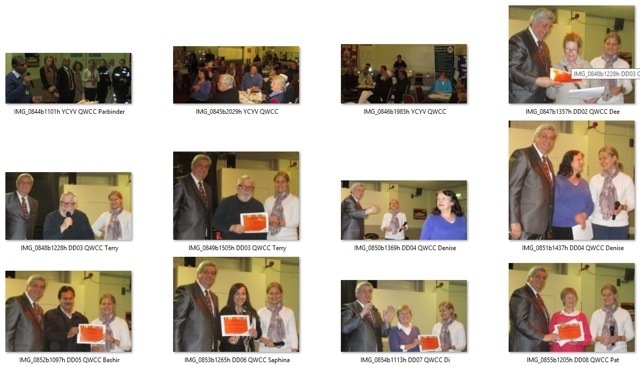 Followed by the approval of 22 allocations of £100 to various community projects and groups. Meadows Partnership Trust called the emergency meeting, attended by Taylor Woodrow, NET team and NCT, and around 30 members of the public, to rehearse arrangements for the 3 months closure of Arkwright Street. – that routes to the new stop on London Road to be checked for overhanging branches. – that Taylor Woodrow cannot avoid possessing Robin Hoods Way for probably a period of 5 weeks, and possibly 3; that the redirection of the 48 is unavoidable; that the various agencies will come to earlier arrangements, including special transport for passengers from the existing routes, and that special briefings will be held at each of the elderly complexes along the route. that landscaping will not start before January (giving the Meadows Tree Project more time to deliver its public art). Lilian Greenwood MP addressed the South Nottingham Voluntary and Community Sector at a forum held at the Queens Walk Community Centre. 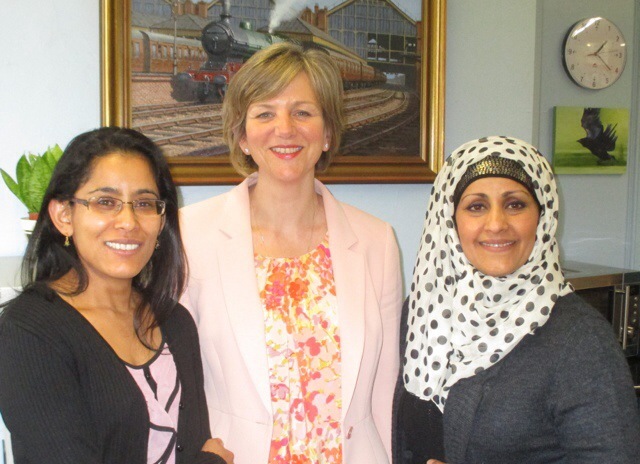 Invited to tell people what she does, she emphasised – representation; scrutiny; assistance; and being a party spokesperson. 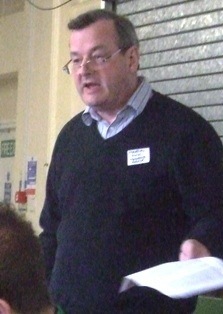 Martyn Neal, Senior Worker at the Meadows Advice Group then briefed the forum on the latest issues concerning benefits changes. Explaining that the experience of people is that they are not work shy, he recounted stories such a man seeking part custody of children for 18 months, getting custody over the weekends, only to find he loses benefit for have the spare rooms empty during the week. Or “bonkers” situations where a family with children aged 9 and 6 will be deemed to have a spare bedroom for a year, before the eldest reaches 10. Reminding people that most people on benefits work, but that many work part-time work at employer’s behest, it showed how difficult it was for people to plan. The changes to a universal benefit system planned for later this year brings worries, most particularly when asking people to manage money that is currently transferred straight across. However, there might be elements of the new scheme that simplify benefit claiming, so some precision was needed in deciding what to object to. But it is clear that the pilots to test elements of this scheme are already delayed. The forum also had a workshop for sharing knowledge and a briefing on the Big Lottery Fund.